We’d like to share our congratulations to KisanHub on winning awards at not one, but two Cambridge business awards this week. First up was the Business Weekly Awards where they were awarded ‘Young Company of the Year’. 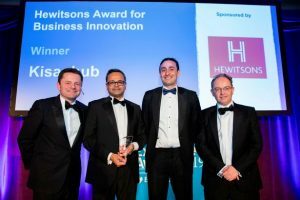 Second was the Cambridge News Business Excellence Awards where they collected the Hewitson’s award for Business Innovation. 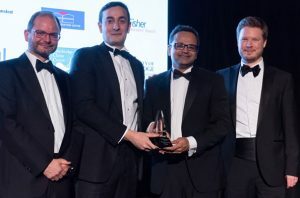 Visitors to our blog will be familiar with KisanHub, who were also highly commended in the Cambridge Independent Science and Technology Awards, AgriTech of the Year award in 2018. We look forward to hearing more about their successes as time goes on.